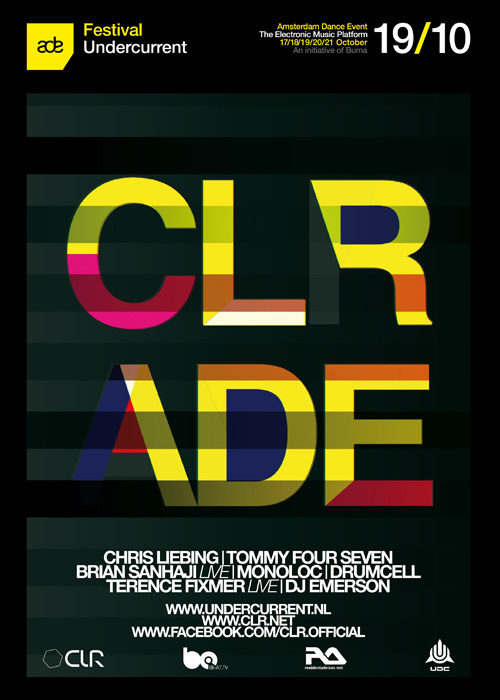 Competition: CLR at ADE, 19/10/2012, Undercurrent Amsterdam (NL) – The winners! In response to the Popperola competition of this week, whereby I had the pleasure to give away 2 x 2 tickets to Chris Liebing’s CLR party at the Amsterdam Dance Event this Friday, I received a great number of mails. Logical, since the event is sold out for quite some time now. Lots of answers were very inventive but in my opinion Alexander van Zweden came up with a terrific find, most likely using his mix panel as an inspirational source: Cue, Loop, Repeat. The second winner is Michel van Keulen, who came up with Celebrate, Live and Rave. And that’s exactly what I imagine he will be doing Friday night. Congratulations to both of you and if you feel like it, send a report when you’re back home and sober!